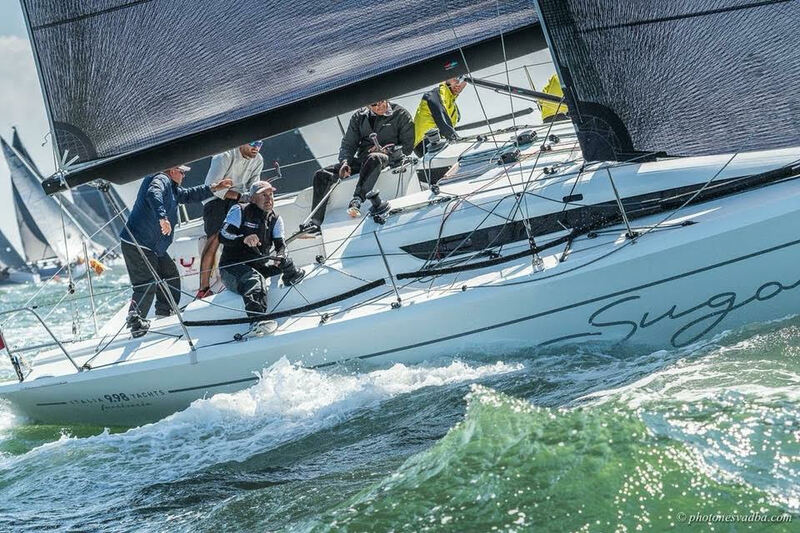 Squadra Corse is the new highly specialised new department at Italia Yachts, dedicated to all those owners who wish to race with their YI boats. The department is led by a technical team made of specialised professionals who can best advise owners on rules and regulations, manoeuvres, sails and appendages to achieve the ideal boat’s setup. Using and comparing data and images acquired onboard, the Racing Team will help the crew to get better performances in the shortest time, optimising resources. Squadra Corse is intended to guide teams and owners to manage their racing boat and to select the best calendar, complying with set budgets, for those who are new to sail-racing and for experts alike, who only need additional tips. Squadra Corse Italia Yachts is co-ordinated by well-known professionals: Franco Corazza, a professional sailor, sail trimmer and sail development program expert with 12 national, 2 Europeans, 1 World title under his belt, besides successes in classic events like the Giraglia, Sardinia Cup and Admiral’s Cup. He’s highly experienced in boat-building, having worked in New Zealand and Canada, besides Italy. Daniele De Tullio, triple world champion and five times European champion 3, 11 Italian titles and 46 podiums in international events; Matteo Polli - designer of the Italia Yachts 9.98, who won 2 silver and a gold at recent ORC Worlds and other international races; Marco Schiavuta – winner of the Louis Vuitton Cup 1992 on Il Moro di Venezia, 1 world title, I European title, with several Italian wins and podiums in international level events. Squadra Corse, will be attending the most relevant national and international events, to assist the owners before and after racing. Italia Yachts : Since 2011 the shipyard has been producing sailing boats where every design project starts with the creation of a perfectly balanced hull and sail plan; sailing on an Italia Yacht everyone feels secure and protected in all weather conditions. This design concept has made the shipyard a benchmark in the sailing world: in an Italia yacht you will rediscover the true pleasure of sailing.